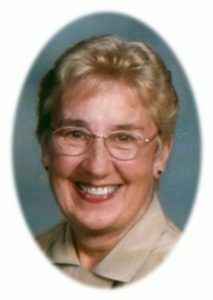 Evelyn L. Walsh, age 85, of Riversbend Circle in Germantown, WI; formerly of Port Washington, WI died Sunday, July 16, 2017 at Kathy Hospice in West Bend. She was born on April 21, 1932 in Cedarburg, WI; graduating from Cedarburg High School. On February 21, 1953, Evelyn married Arlin L. Walsh of Port Washington at St. Francis Borgia Catholic Church in Cedarburg. They raised their family in Port Washington, living on Milwaukee Street and Nelson Drive for many years. Evelyn graduated from the former Milwaukee Lutheran Hospital Nursing School and was a registered nurse at the former St. Alphonsus Hospital in Port Washington for over 35 years, retiring in 1992. While living in Port Washington, the Walsh’s were very active with St. Mary’s and St. Peter’s parish. 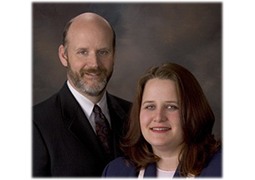 In 1989, Evelyn and Arlin moved to Germantown. 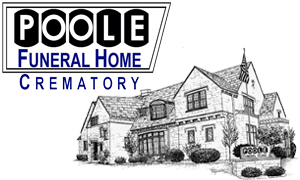 During their retirement years they enjoyed winters in Naples, FL and many road trips throughout the country on their motorcycle. Evelyn always loved her time spent in her awesome garden and was an active swimmer for many years. She is survived by her children Mike (Teri) Walsh of Lisbon, WI and Michelle (Lisa Rudnik) Walsh of Onalaska; her grandchildren Anika and Caitlin Stewart, Kristin (Peter) Holmgren and Dane (Katie Steuber) Walsh; her sister-in-law Margaret “Marge” Grasse of Menomonee Falls; her son-in-law Robert Stewart of Middleton, nieces, nephews, other relatives and friends. She is preceded in death by her husband Arlin on February 3, 2015, her daughter Kathleen Walsh and her brother Clarence Grasse. Memorial funeral services will be held at 6PM Thursday July 20, 2017 at Holy Cross Lutheran Church, N156 N8131 Pilgrim Road, Menomonee Falls, WI 53051. Interment will take place at St. Mary’s Cemetery in Port Washington. Family will receive friends from 5-6PM Thursday AT CHURCH prior to services. Memorials to the University Of Wisconsin Carbone Cancer Center, 600 Highland Ave., Madison, WI 53792 are appreciated. Previous Post: Karrels, Ervin T.
Next Post: Helzer, Julie R.